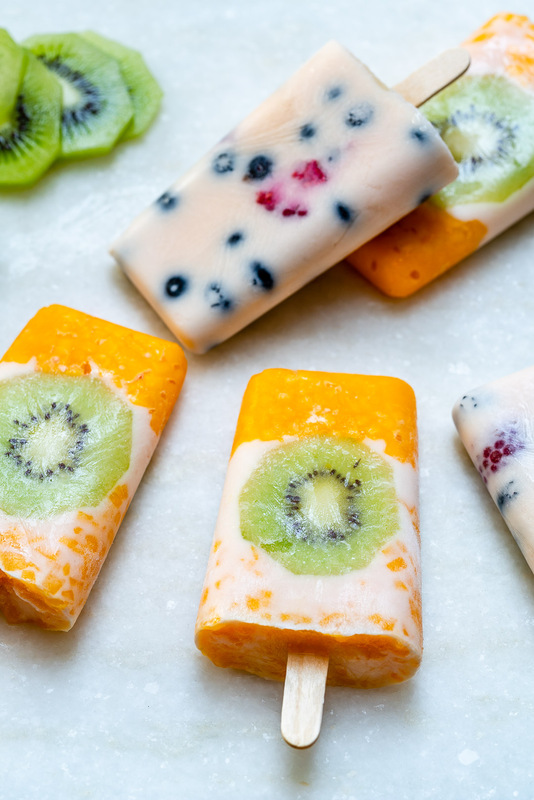 REAL Frozen Yogurt Fruit Pops Make a Yummy Clean Eating Treat! In a large glass mixing bowl whisk together yogurt, vanilla extract, honey and protein powder (if using – not required). 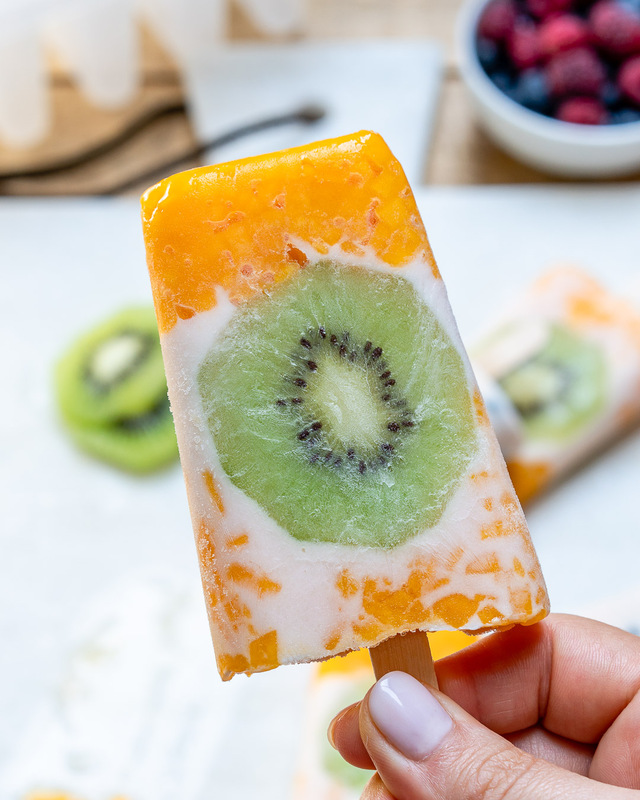 Layer the bottom of 3 of your pop spaces with diced mango and stick kiwi slices on the walls. Fill it with yogurt. 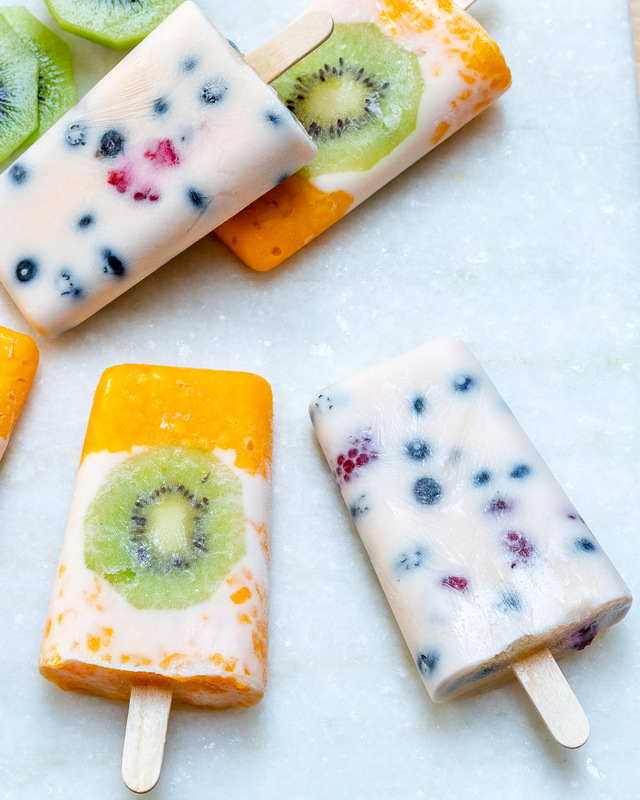 Mix the remaining yogurt with fresh berries and fill the other 3 pop molds with this berry mixture. 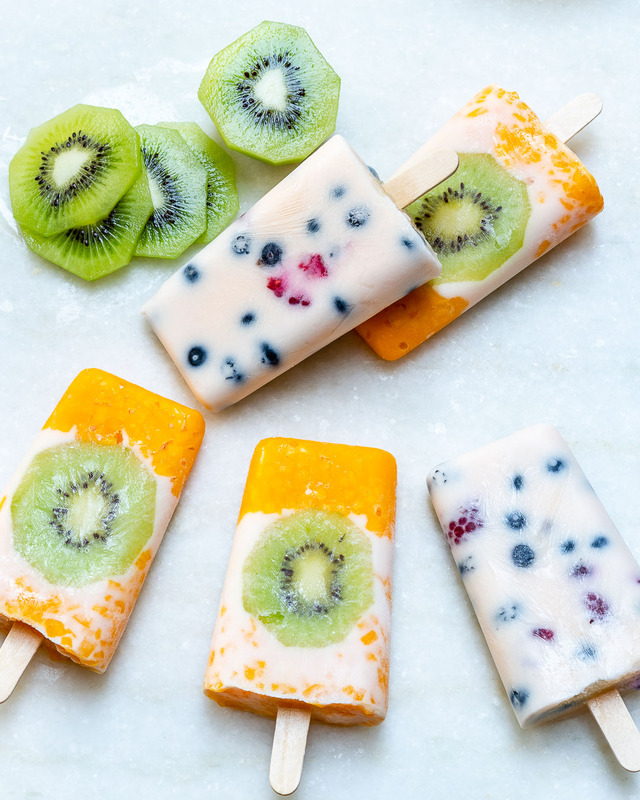 Insert popsicle sticks upright into each one of the pops. 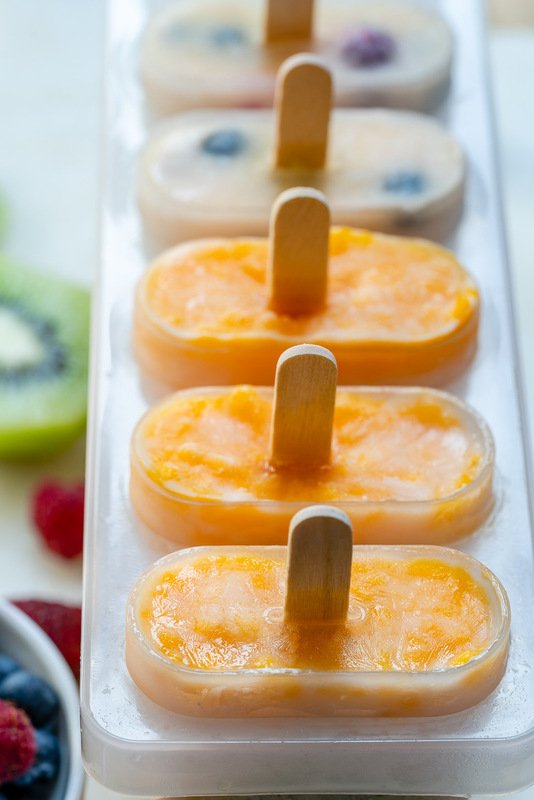 Place your ice pop mold into the freezer for at least 3 hours. In a large glass mixing bowl whisk together yogurt, vanilla extract, honey and protein powder (if using – not required). 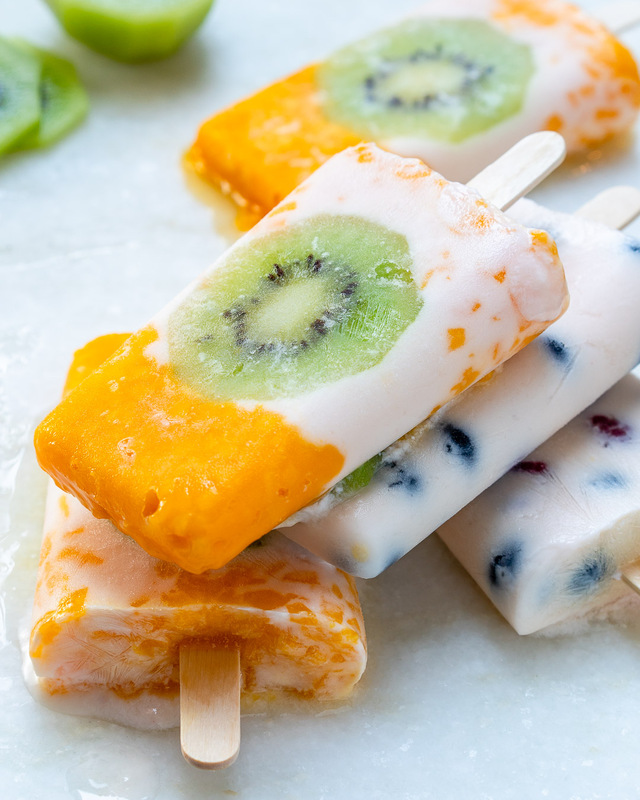 Layer the bottom of 3 of your pop spaces with diced mango and stick kiwi slices on the walls. Fill it with yogurt. 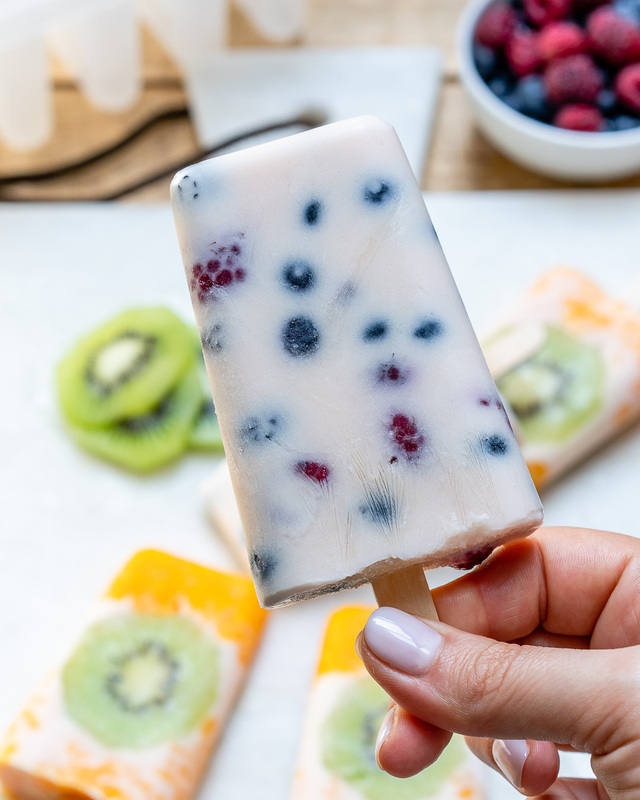 Mix the remaining yogurt with fresh berries and fill the other 3 pop molds with this berry mixture. 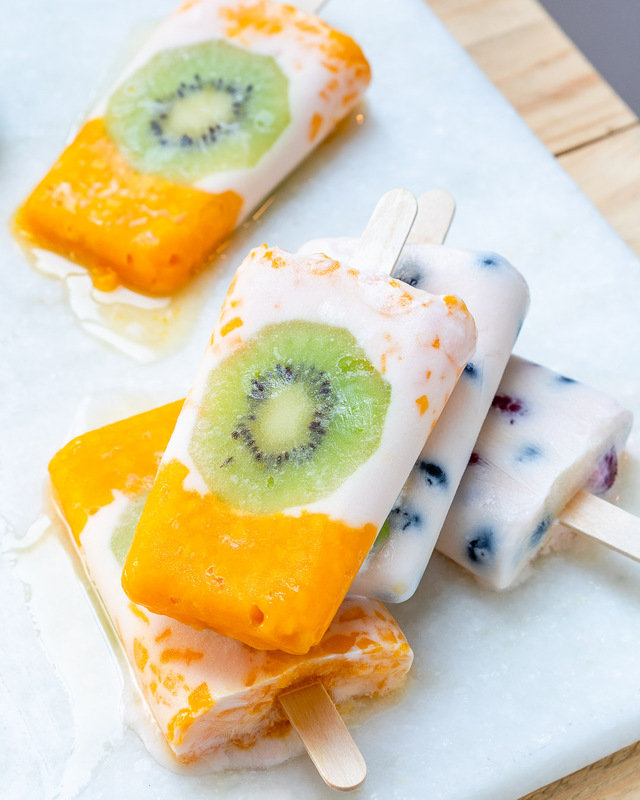 Insert popsicle sticks upright into each one of the pops. 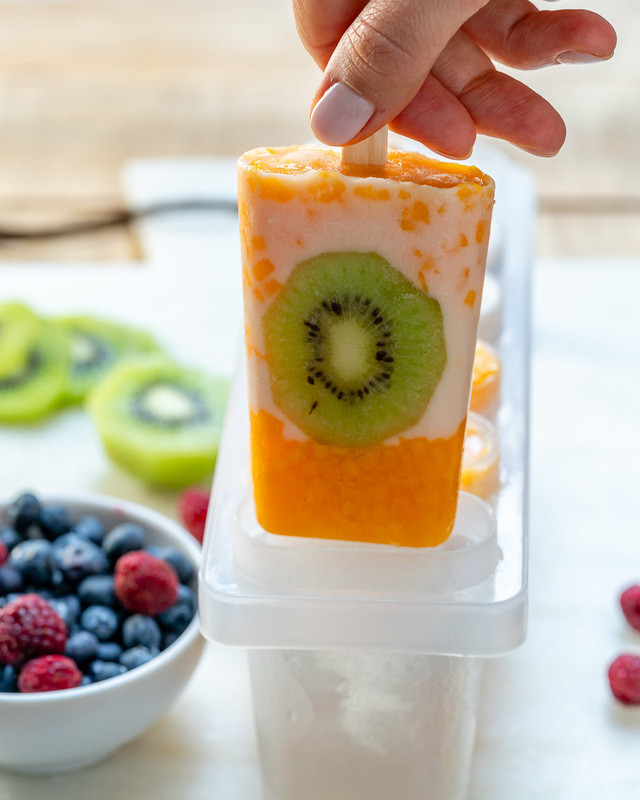 Place your ice pop mold into the freezer for at least 3 hours.